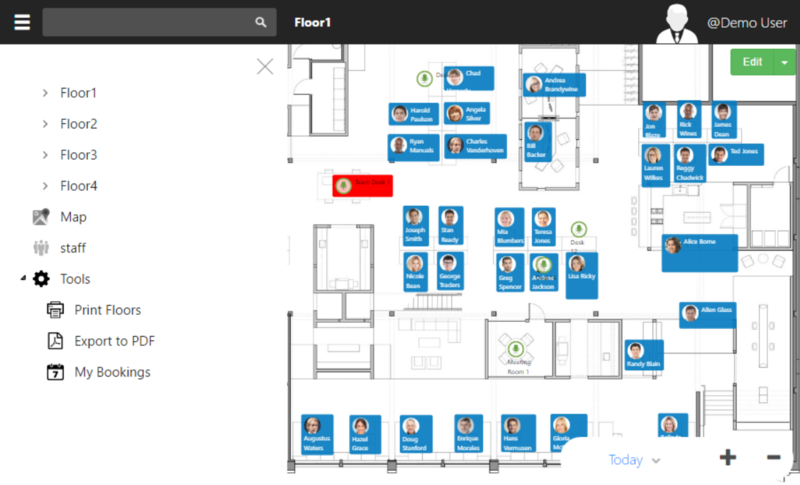 A StaffMap user will interact with floorplans to book desks or other equipment around the office, perform searches and/or request moves and changes. If a visitor to a StaffMap Project does not log in, they technically interact with floorplans as the 'Public User'. User permissions are set by the Security Groups they belong to which are managed by project administrators. User tools like 'My Bookings' can be found in the Sidebar Menu. Administrators can access this by clicking the menu icon in the top toolbar.